Rio Tinto has released its Q3 production results, detailing declines in production among most commodities except copper, which has been boosted by higher grades in Utah. 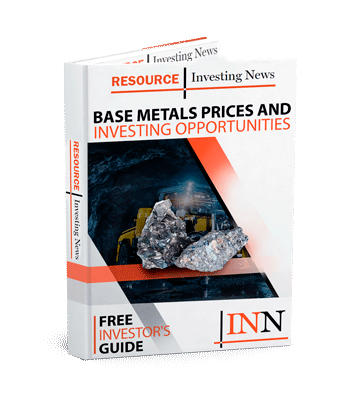 Global diversified miner Rio Tinto (ASX:RIO,LSE:RIO,NYSE:RIO) has released its Q3 production results, revealing a mixed bag of numbers for the company. The backbone of Rio’s operations — its Western Australia iron ore production — was down 3 percent on Q2 and 3 percent year-on-year to 82.5 million tonnes, while iron ore shipments were down 7 percent since Q2 and 5 percent year-on-year. Rio said the lower numbers were “due to planned maintenance cycles and safety pauses across all operations” due to a fatality at the Paraburdoo iron ore mine in August. It is now under investigation. Even so, annual guidance remains unchanged for the company’s iron ore operations, with shipments “expected to be at the upper end of the existing guidance range” of between 330 and 340 million tonnes. Looking ahead, the company said that work is progressing on its sustaining projects, Western Angelas deposits C and D and the Robe Valley project, with construction due to commence in 2019. It also said a feasibility study into the Koodaideri project is underway. Staying in the Pilbara, the company revealed that its automated train system is trundling along nicely in the ramp-up stage, with automated operations up to an average of 34 trains per day, accounting for 45 percent of daily kilometers covered by Rio Tinto trains. Elsewhere in operations, bauxite production was down, while aluminum production was up on Q2, but down year-on-year. Bucking the trend, copper production was up a hefty 32 percent year-on-year to 159,700 tonnes — an improvement the company has credited to higher grades at its Kennecott operations in Utah. Kennecott saw a 129-percent increase in production year-on-year to 59,100 tonnes, while Rio’s share of production from the Escondida mine in Chile was also up year-on-year by 6 percent to 87,400 tonnes. As covered extensively this year, Rio Tinto has now divested from the Grasberg copper-gold mine in Indonesia, which contributed zero to Q3’s production numbers as a result. Instead of copper output, Rio got a fat paycheck of US$3.5 billion. The transaction between Rio, the Indonesian government and Freeport-McMoRan (NYSE:FCX), the former majority owner of the mine, is subject to conditions, but Rio expects the transaction to be completed by the first half of next year. Rio Tinto’s Turquoise Hill Resources (TSX:TRQ) also released its quarterly report recently, detailing an improvement in open-pit production (up 7 percent year-on-year) and progress on underground development. “Lateral development has progressed well, construction completion schedule remains on track for 2022 and the project is expected to be completed at the $5.3 billion budget estimate,” said Turquoise Hill. However, it also reported that it will be pushing back its estimated date for sustainable first production, which is now expected to occur by the end of Q3 2021 instead of the end of Q1 2021. “This is a result of certain delays including, but not limited to, the completion of Shaft 2, which includes over four months of schedule contingency, and challenging ground conditions,” said the company. When completed, the Oyu Tolgoi underground expansion is expected to produce 560,000 tonnes of copper per year — well above the operation’s current output of 140,000 to 155,000 tonnes annually. The project continues to be dogged by local politics, however, as it is 34-percent owned by Ulaanbaatar, which has stipulated that Rio Tinto use a domestic power source for the mine — a subject that continues to cause headaches. On the ASX, Rio Tinto was trading up 1.55 percent at AU$78.70 on Tuesday, while Turquoise Hill was down 2.35 percent in Toronto, trading at C$2.49 as of midday. Kennecott mine, Utah. Image courtesy of Rio Tinto.